ISB Mobility provides nationwide delivery on all the products and we endeavour to deliver your item within 2 to 5 working days where the goods are in stock and are available for dispatch. We advise that you contact us by phone 01-6167079 to discuss with our staff all delivery terms. Before dispatching your order, we will give you a notice of delivery. In occurrence of any delivery time delays you will be informed immediately. 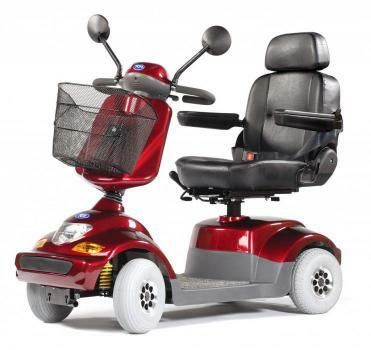 Please mind that Specialist Goods such as Mobility Scooter, Manual and Powered Wheelchairs, Riser Recliner Chairs, Adjustable Care Beds and other products may require 2-10 working days to deliver because of specialist nature of products and depending on availability in stock. We can offer a delivery and assembly service, please contact our staff for more details. Please note these rates apply for packages not exceeding 30 kg. We advise you to contact our staff by phone 01-616 7079 for delivery rates and options for heavier items. You may return your order or part of your order within 14 days of receipt of the product without reason or explanation. It is at your expense to return the order or part of the order. This unconditional return policy applies only to goods that are unused and in the original packaging. If you intend to return the item please keep the receipt too. When the goods have been received back, we will refund your credit/debit card charge. Please mind it may take several days for the refund to appear on your account depending on the policy of your bank. In the unlikely event that you should receive an incorrect delivery or a faulty product we will arrange collection and exchange the product as quickly as possible and at no additional cost. A delivery of this nature must be reported in writing to us on info@isbmobility.ie or by phone 01-6167079 within 5 days from the date you receive the order. The company will then issue you with an official Return Authorisation Reference and arrange to have the product collected and replaced at no additional cost. We can only accept exchanges that comply with the instructions outlined here. We will process your order on the day of receipt or the next available working day. For this reason, it is not possible to cancel an order once you have placed it. However, you may follow the normal returns procedure outlined above.